Jax Thoirs continues his development in pole vault with news of another Scottish record breaking overnight on Sunday morning from the United States. The Seattle-based university student cleared 5.65m at the PAC-12 Champs in Los Angeles. That’s an improvement on his own Scottish record, which is currently listed at 5.50m. Jax also had a recent performance at 5.53m, which was awaiting ratification as a new record. Now his 5.65m clearance will be subject to the same process but the bottom line remains that he continues to raise the bar! 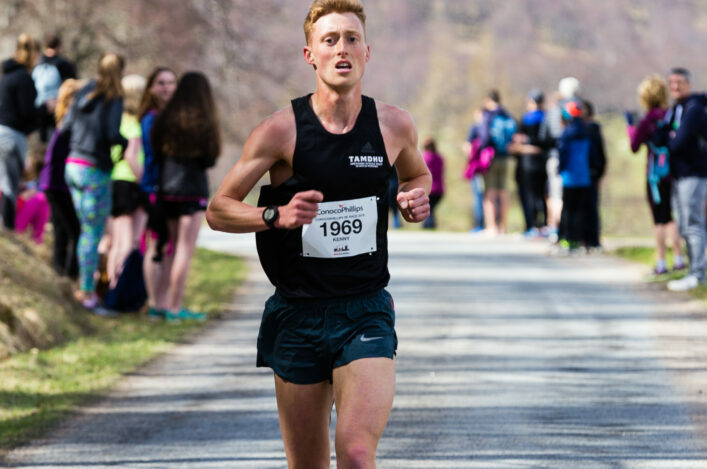 The Scot is already very much in the frame for the Euro U23s in Tallinn, Estonia, later this summer and is believe to be the number one athlete in Europe in that age group at the moment. 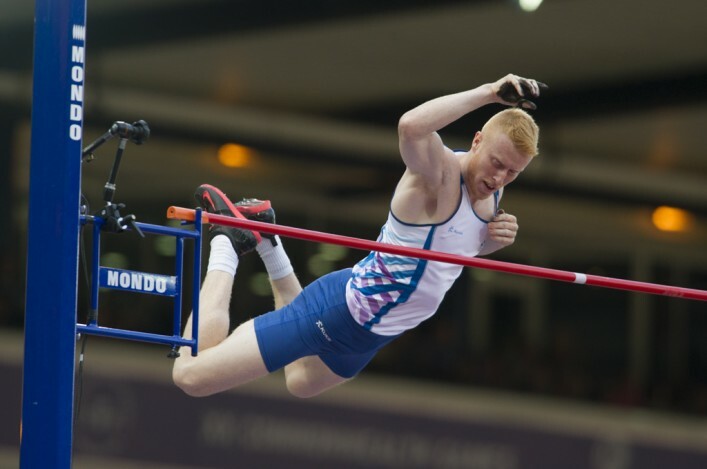 He’s also hit the 5.65m mark that is the standard being asked by British Athletics for the World Champs in Beijing. It is also being reported that the 5.65m clearance takes Jax to fourth place on the British all-time list. There were fine perofrmances at various locations with Lennie Waite setting a new PB in the 3000m steeplechase in America. The Team Scotland athlete clocked 9.46.91 and that takes her to second on the Scottish all-time list for the event behind record holder Eilish McColgan. It also nudges Lennie close to the 9.44 that is being sought by British Athletics for the World Champs. At the BMC meeting in Manchester, Lynsey Sharp opened her season in 800m terms with her first run at the distance for eight months. 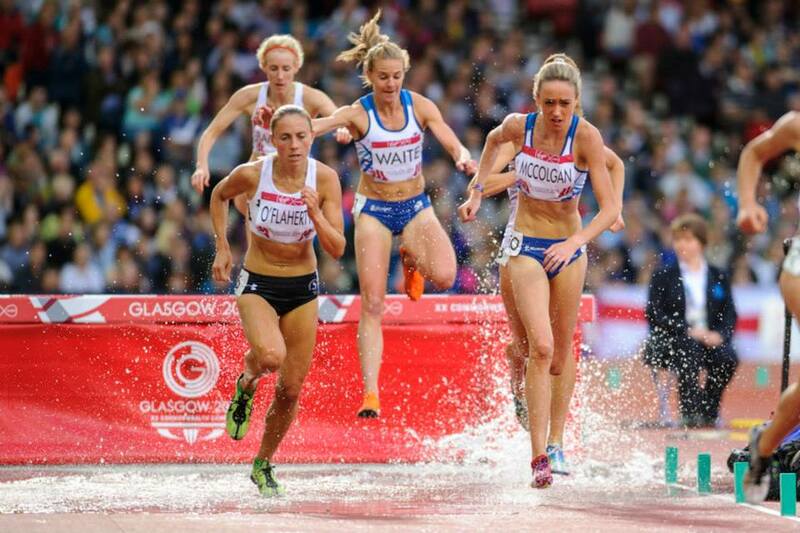 Lynsey was second to Alison Leonard as she recorded a Scottish rankings leading 2.02.52. 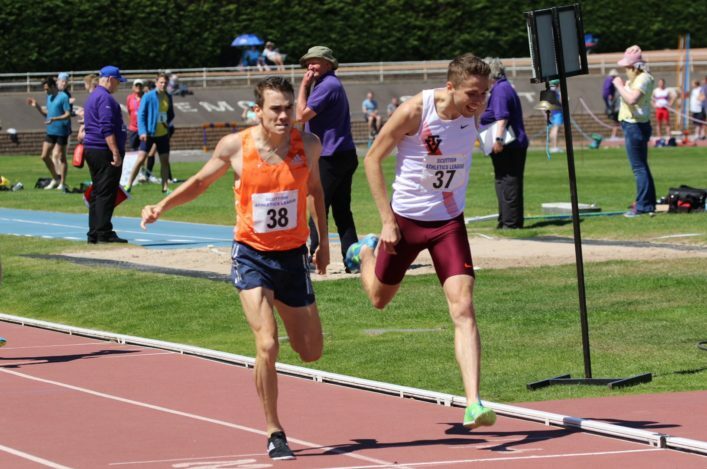 Andrew Butchart was also in good form as he won the Men’s A 1500 race at the meeting, improving his PB to 3.44.57. Chris Watson was just behind Andrew in 3.44.85 with Cameron Boyek also in that race at 2.46.77. 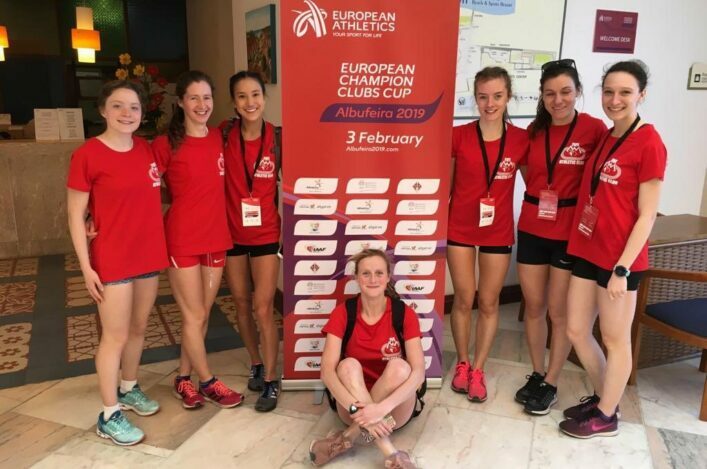 English based Scot, Carys Macaulay, is looking to challenge for a Commonwealth Youth Games place and she was inside the 800m standard being asked with a very fine run of 2.06.71. Results details are on the Scotstats website. 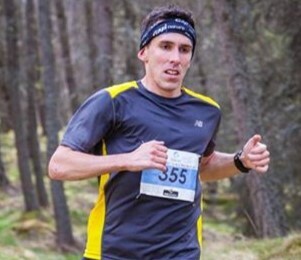 Scotland’s Andy Douglas came up with a fine win at the British hill running Inter-Counties champs. The event was held in North Wales at the course which will stage the World champs later in 2015. Inverclyde AC athlete Douglas savoured that individual victory while the East Men’s team took silver medals in the team race. The West men’s team were third and the East women also managed a third place finish in their team race to make it a very fine collective performance by the Scottish athletes. 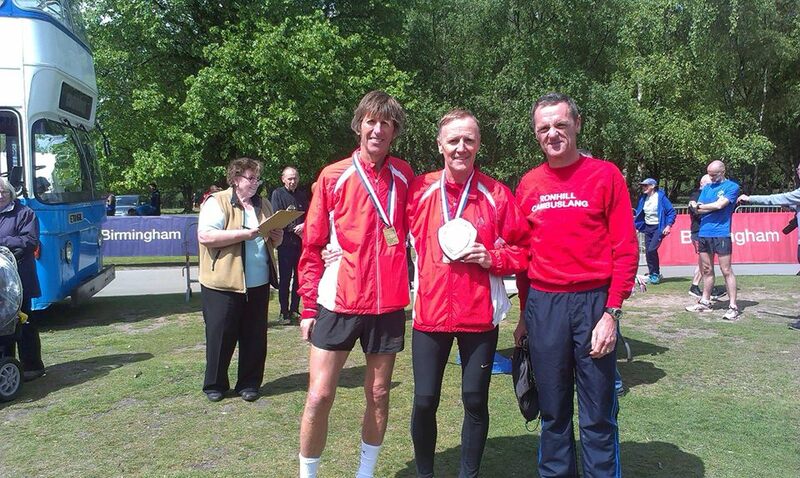 Ronhill Cambuslang Harriers and Kirkintilloch Olympians headed south to compete in the English Masters Road Relays event at the weekend. And it was a superb day for the Glasgow club as their V55 team took the gold medals. Ronhill Cambuslang also collected silvers in the V35 category as they finished second to Thames. The V55 team was: Paul Thompson, Colin Feechan and Iain Campbell. The V35 team was Charlie Thomson, Robert Gilroy, Jamie Reid, Kerry-Liam Wilson, Iain Reid and Steve Wylie. 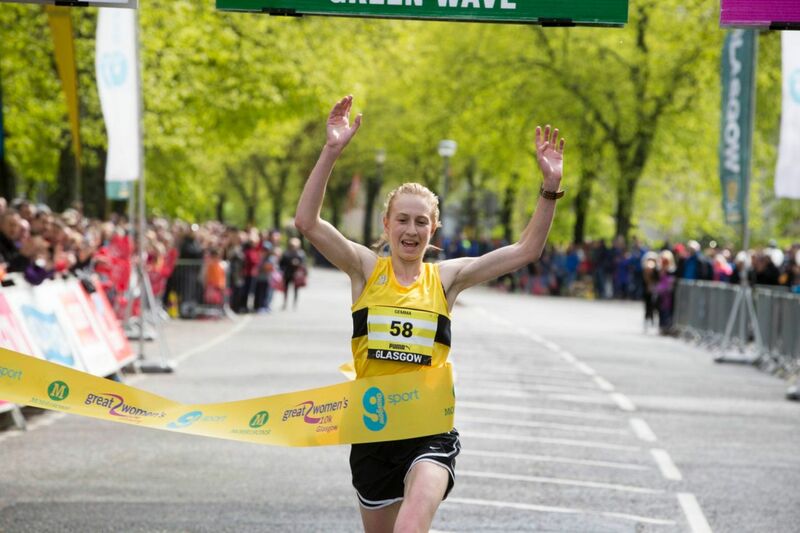 Girl power well and truly took over Glasgow on Sunday as up to 7000 women pulled on their trainers to take part in the Morrisons Great Women’s 10k. The UK’s largest female-only running event, renowned for its party atmosphere, brought together women of all ages and sporting abilities to run, jog or walk the 10k course. The iconic route in Glasgow’s Southside, starting on Nithsdale Road and finishing on Mosspark Boulevard via Pollok Country Park, also saw an impressive field of high calibre club runners as well as faces from the world of TV and radio. 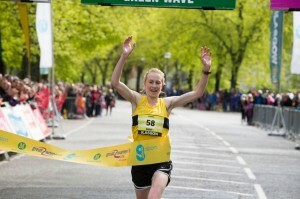 Gemma Rankin from Kilbarchan AAC was first over the line completing the course in 35.31. She was followed by Gillian Palmer from Edinburgh Athletic Club taking second place with a time of 36.33 and Jill Knowles from the Scottish Prison Service Amateurs in third, completing the course in 38.09.